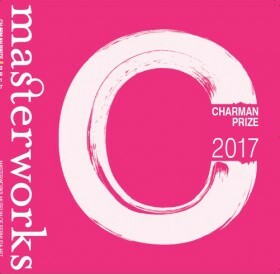 Nurturing young talent along with showcasing more established artists is part of what makes the bi-annual Charman Prize such a unique event. In keeping with the tradition of inspiring young artists John Charman, sponsor and patron of the Prize, has donated art kits to be handed out to the first 50 children [age 5 to 14] that attend the opening of the eighth Charman Prize on Friday, October 13, which will be held in the Butterfield Family Gallery at Masterworks Museum of Bermuda Art. “The Charman Prize brings together a cross-section of artists in the community and we’ve had a record number of applicants this year,” said Elise Outerbridge, curator and director of collections at Masterworks. This year’s Prize will be judged by an international panel of experts on four criteria points falling under an overriding theme of “Bermuse”. Jury members are Laszlo Cser [professional conservationist – Toronto], Linda Wilde [art lecturer and historian – USA] and Robin Light [owner and founder of Crane Kalman Gallery – London]. The artwork is judged under four criteria points: design and composition – fine use of the principles and elements of design and composition; use of material – technical mastery and skill in a chosen medium; distinctive and convincing style – a highly developed quality of creativity and originality; and source of inspiration – a clear intent and vision. The grand-prize-winning artist wins $10,000 for an artwork that embodies an outstanding example of the judging criteria. There is a prize of $5,000 for an artwork that demonstrates learning of techniques and understanding of medium in the emerging artist category. Three Judges prizes of $2,000 are awarded for artworks that are outstanding examples of each of the criteria, and a Masterworks Choice in which the Museum selects one artwork to purchase and enter into the permanent collection. “It’s a very exciting time and I know people get excited about the opening and finding out who will win,” said Ms Outerbridge. Mr Charman, who is a local businessman and avid art collector, established the Prize in 2008 with the opening of the Masterworks Museum of Bermuda Art in its permanent home in Botanical Gardens. The art prize is open to local artists based in Bermuda and Bermudians abroad and is intended to exhibit artwork inspired by Bermuda as well as honor and support contemporary artists. The entries are displayed in the Butterfield Family Gallery, which is usually home to the Museum’s permanent collection, until February 15, 2018 and all works on display in the competition will be available for purchase. For more information about the Charman Prize, please contact 299-4000.